This recently renovated, spacious contemporary condo with high ceilings lacked efficient lighting. 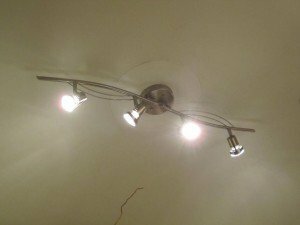 The basic flush mounted lighting fixtures did not provide adequate light. Here is what the owner came up with. The image below shows the selection that Milo’s owner selected for the main lighting in the living room. 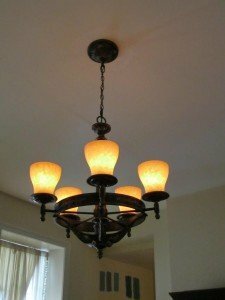 This chandelier gives the room a more elegant look while providing additional lighting. 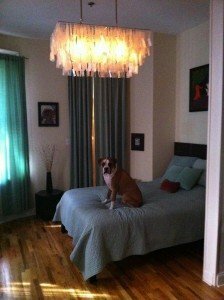 In Milo’s bedroom, the owner wanted a fixture that would stand out. This selection did just that. The image below shows Milo enjoying his new contemporary light fixture. The glass is individually packaged and made out of sea shells. Finally, the owner wanted to add some lighting to his computer area. 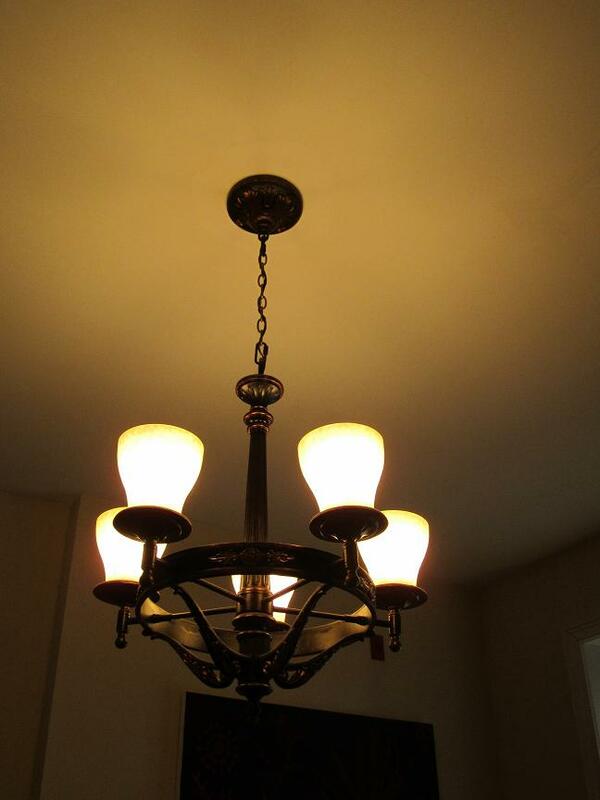 The contemporary track fixture below provides area lighting and can be adjusted to light specific pieces of art. By adding just a few fixtures, Milo’s owner enhanced the look of his condo while providing much needed additional lighting. 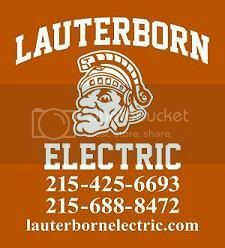 If the lighting fixtures in your home are outdated or need upgrading, contact your licensed electrical contractor, Lauterborn Electric, to formulate a game plan.